Go Bites Date & Coconutare perfect before exercise. We believe real food fuels you better! Created by sports nutrition cook Kate Percy, author of the Go Faster Food recipe books. Kate says “These taste yummy and are perfect to give your workout a boost or simply to energise your day”. Dates (46%), Raisins (Raisins, Sunflower Oil), Desiccated Coconut (11.5%), Gluten Free Oats, Coconut Oil. May contain traces of shell or pits. Produced in a factory which handles nuts. Our oats have been carefully sourced to ensure they will not come into contact with other cereals containing gluten. Go Bites Date & Coconut is rated 5.0 out of 5 by 11. Rated 5 out of 5 by Rachel R from Delicious and healthy I've recently bought a box of these and they are great for when I need a quick energy boost. They are delicious and easy to eat. I would highly recommend you give them a go. Rated 5 out of 5 by Seph from Perfect energy boost I love, love, love Go Bites!! The perfect sporting energy boost - I compete in eventing and the three-bite pack is spot on for each of the three phases - one before dressage to help keep you focused; one after showjumping to set you up for the cross country and one after it is all over to help you recover!! How did I ever cope before!! Rated 5 out of 5 by Emma04 from So tasty! I have just worked my way through 1 box of each flavour and ordered to replace my stocks. They are so tasty and handy to use when out exercising or travelling. They work really well with my clean eating diet. Rated 5 out of 5 by Janine L from Go bites and Go GO ME! Love these power balls of awesomeness! Perfect everything from swim & spa days to nordic walking endurance event of 50+ miles and triathlon training. Oh, an dperfect with a cuppa whilst reading. Healthy wholesome treats. 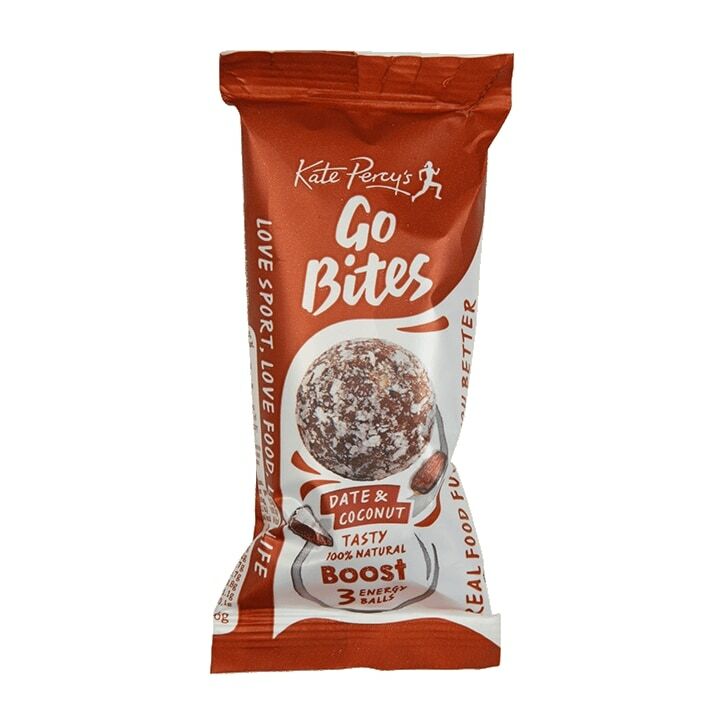 Rated 5 out of 5 by MsFitness from Delicious energy booster I love all the Gobites as they are tasty, balls of energy and the coconut one is my favourite,. Great for boosting energy whilst cycling walking or as a tasty, healthy snack! Rated 5 out of 5 by BusyMum29 from Go Bites I have found these a much more satisfying snack option than cereal bars and the like. They are tasty and not too sweet and made with natural ingredients so much better for you too. The perfect snack to keep in your bag or the car for yourself or the children!